Ayyyyy, that’s right! No better way to announce your intentions to get back into reading more and blogging more by signing up for Bout of Books, so here it is guys. I’m back. I’m ready. And I am beyond excited for the 21st to get here so I can read!! So yeah. I’m in. I’d love for you to join me (and everyone else!) 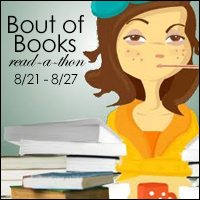 in taking part in possibly the most fun readathon around. I’m not normally for participating in release day blitz posts, but when I was contacted to see if I was interested in promoting Our Song by Ashley Bodette, I wasn’t able to resist. It sounds like an amazing read, and I cannot wait to purchase my copy and dive in! I’m also lucky enough to have a couple of teasers to share with you, just incase the synopsis and that BEAUTIFUL cover wasn’t enough to entice you into reading!